Few on the Left would disagree that a radical government in the UK ought to engage in far-reaching and bold industrial policy. Industrial intervention is vital to overcoming the deleterious legacy of decades of neoliberalism, aiming to rebalance the economy in the interests of workers and the poor. It is necessary to undertake a programme of public investment and adopt measures to boost productivity especially in de-industrialized regions, including Northern England, Wales and Scotland. It is also necessary to lessen the overweening presence of the City of London in the British economy. The European Union certainly allows for industrial policy. But it is important to be clear about the tenor of EU industrial policy. It is not the type of policy that was deployed in several parts of Europe in the immediate post-war decades or in more recent years in East Asia with considerable success. In these cases the aim generally was to restrain the market and to direct private capital, including by promoting “national champions”. Instead, current EU policy seeks to be consistent with the Single Market and thus to support competition, usually by fixing putative “market failure”. The objective is to establish a competitive environment that prevents member states from supporting enterprises that are deemed unsuccessful and wasteful of resources. For this reason EU industrial policy lacks both the effectiveness and the range that would be required by a Left government in the UK. This point can be simply demonstrated with regard to state aid, which is a vital component of industrial strategy. EU state aid rules focus on any intervention aimed at domestic industry as long as it could be interpreted as a “distortion” of competition. They generally allow a national government to set the framework of state aid, but prevent it from setting the direction of an industry, a sector, or the economy as a whole. There is room for exceptions, and it is possible to have some regional interventions despite the general restriction on subsidies, under the so-called de minimis rule. However, this rule basically amounts to allowing assistance worth less than €200,000 per enterprise over three years — a very small sum in the British context. The European Union also allows for some “block exemptions” applying to small and medium enterprises (SMEs), research and development, regional aid, renewable energy, and so on. These exemptions are generally small in size and are explicitly required not to affect export-related activities. The decision on what activities are exempted is ultimately taken by the European Union, not the national government — a point of crucial importance given the recent Times front page outlining the hostile attitude of the European Union toward Corbyn’s program. EU rules are actively monitored and aggressively enforced through penalties involving financial recovery of any putative intervention. The ECJ has consistently facilitated this practice. Precisely because the EU operates in this way, presumed breaches of the rules are often brought to the attention of the Commission and the ECJ by domestic competitors who have a narrow interest in stopping particular forms of State Aid. National policy is thus also hampered from within by self-interested private parties that seek the support of EU mechanisms. It is likely that a Labour government attempting to expand State Aid within the EU framework would rapidly come up against this problem. A further argument by opponents of the Labour leadership’s line on Brexit is that, even if EU state aid policy imposes some restrictions, exiting the European Union would not mean a clean slate, and British governments would be restricted by other transnational agreements. But in fact the most prominent of these — the World Trade Organization rules — only brings into sharper focus how restrictive and neoliberal EU state aid policy is. Even if Britain was to leave the European Union with a hard Brexit, i.e., one where there was no bilateral deal and the framework reverted to WTO rules, it is clear that, in state aid terms at least, this would actually open up fresh policy space for a left government. In sharp contrast to the EU, the rules of the WTO on State Aid relate only to subsidies (strictly financial support) which are intended either to boost exports or to reduce imports. The WTO is not concerned with general government intervention in the economy, and it is not even concerned with subsidies which are directed to the domestic economy and do not affect international trade. Under WTO rules it is possible to have regional subsidies that apply to all enterprises in a region. Moreover, the WTO does not have a central mechanism to monitor and enforce its much milder State Aid provisions. It has a Disputes Settlements Mechanism to which cases can be brought by other WTO member states, but there is no mechanism to enforce breaches of the subsidy rules. Instead the WTO lists prohibited subsidies as well as actionable subsidies, which allow complaining countries to impose countervailing duties after settlement. There is no doubt that any radical industrial policy adopted by a Left government would face significant difficulties within the EU State Aid framework. There are likely to be challenges on regional aid, on support for local banks, and even on setting up a National Investment Bank. There are also likely to be challenges on State Aid intended to restructure the economy in sectorial terms. Finally, there are likely to be challenges on introducing public ownership, if publicly owned firms received support that aimed to replace private provision and pursue wider policy goals. The WTO framework is more permissive in all these respects. State aid policy would not be the only obstacle thrown up by the European Union to Labour Party proposals to transform Britain’s economy through industrial policy. Public procurement would be another major problem. Corbyn has made it clear that a Labour government would use public procurement to the benefit of British industries, such as steel, to impose terms on government contractors around trade union recognition and wage disparities, as well as to enforce prompt repayment. These strategic aims, however, would hardly be compatible with EU directives on public procurement which operate within a framework of ensuring competition and equitable treatment of suppliers. It is true that the European Union recognizes the ability of procurement to deliver “social value,” including employment opportunities, social and labor rights, social inclusion, ethical trade issues, corporate social responsibility, and promoting SMEs. But the “social value” is directly and narrowly associated with each public procurement contract, and would not allow for the kind of generally applicable rules that Corbyn has described. It is also conditional on a range of neoliberal prerequisites. Thus, “social value” can only be considered if the “most economically advantageous tender” is being assessed in terms of value for money, if it is directly linked to the subject matter of the contract, if it does not restrict the freedom of choice of the contracting authority, and if it fully complies with EU treaty obligations. Any one of these on its own could rule out Corbyn’s proposals, but combined they make them practically impossible. None of this is even to mention National Health Service (NHS) renationalization, one of the centerpieces of Labour’s general election campaign. This proposal would be hamstrung by ECJ decisions and European Commission directives which frame health care as an economic activity, implying a right for patients as consumers to have a choice of providers in a market framework. EU public procurement rules would compound the problem because they rule out de-marketizing areas that have already been tendered to private companies or limiting tenders to publicly owned companies. Once again, the contrast with WTO rules on public procurement is sharp. If the UK left the single market it could rejoin the Government Procurement Agreement (GPA) as an independent member and follow its anti-discrimination rules. These would not prevent the government from making demands on contractors that went beyond the narrow remit of the contracts themselves and their presumed “social value.” In addition, the WTO rules do not apply to contracts that fall below each country’s self-determined coverage thresholds. They also do not cover private utilities and have limited applicability to defense procurement and concessions. Under these terms a left government could seek to use below-threshold contracts as well as targeting the areas with limited or no applicability of WTO rules to support local jobs and businesses. Moreover, it would have the opportunity to renegotiate the terms of rejoining the GPA, including the coverage thresholds and introducing special conditions for small and medium enterprises, as the WTO has done with other countries. Several options would also be open to the UK with regard to public sector bodies and housing associations. As well as state aid and public procurement, EU rules have serious implications for nationalization. 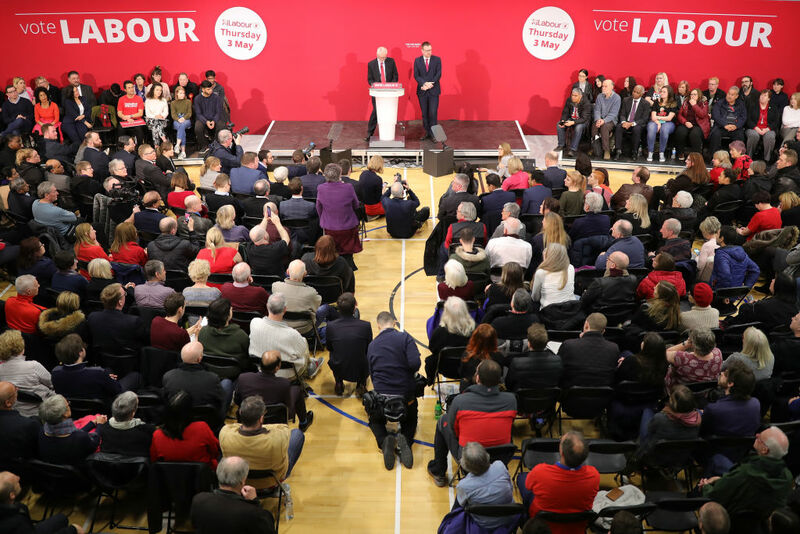 The Labour Party has announced plans to nationalize rail, mail, energy, and water services, and a number of private finance initiative (PFI) contracts. While the European Union includes many member states with nationalized industries and utilities, its rules are set up to steer a course towards privatization, and to make renationalization ineffective at best and impossible at worst. For much of its postwar history Britain operated its key public industries and utilities as public monopolies. These are the relatively successful models that Corbyn appeals to when he says he wants to take sectors “back into public ownership.” But the European Union is notoriously hostile to public monopolies and demands that public undertakings should be subject to the same rules of competition as the private sector. It foresees only exceptional circumstances where statutory monopoly protection may be granted to avoid competitive market principles. Chief among the exceptions are provisions about the cost of infrastructure and the necessity of maintaining a public service, both of which are intended to make up possible shortcomings in market provision rather than altogether challenging its private nature. In the case of Britain, however, rail, mail, energy, and water have already been privatized. This severely weakens any argument that these areas should be excluded from the market because of specific requirements of infrastructure or service provision. In practice, the EU rule of forbidding public monopolies means that the state could only own a provider of a service in a market, not abolish that market altogether. State providers would be forced to compete with other providers, who would often not be subject to the same constraints. The history of such arrangements across Europe and elsewhere shows how easily state providers are undercut in terms of cost by rivals willing to pay lower wages, or cut corners on health and safety, or even provide services only where they make money. At this moment in France trade unions in the state-owned railway company SNCF are striking against proposed rail reforms which include the stripping of public monopoly and the introduction of competitive tendering. Both of these “reforms,” according to the French government, are required in the medium-term for the country to be in line with the European Union’s fourth railway package. It is truly striking that many on the pro-EU left in Britain are willing to disregard these barriers to the operation of nationalized utilities which are already generating mass protests by workers in other European countries. Competition rules and specific European Commission directives also make it difficult for services to be provided by public enterprises free of charge, something which Ireland discovered during its recent campaign against water charges. The European Union is committed to a pay-per-service approach to public goods which seeks to impose a market logic in their provision. This is a fundamental challenge to Nye Bevan’s vision of public services — to which Corbyn appeals — namely that they should be universal and free at the point of access. It is also difficult to see how free provision of services in areas such as public transport would not be interpreted as illegal undercutting of private rivals under EU competition rules. Finally, state aid rules would also limit nationalization. As was shown above, under WTO rules only industries that are export-driven would be subject to restrictions, and even these under relatively limited circumstances. This would generate considerable leeway to nationalize and support industries and utilities that are domestically oriented. EU rules, by contrast, are concerned as much with the internal as with the external market. It follows that nationalized companies would face severe limits to the amount of state aid they could receive. The rule of market competition, the so-called “market operator principle,” is paramount for the European Union. Exceptions could be made but they would require proving that no competition existed or was infringed in the instances concerned, something that would probably be impossible in the UK in most cases. For a left government that intended to bring public utilities and other privatized industries back into public ownership to strengthen investment, improve services, and meet social aims, these state aid rules would prove major obstacles, especially in view of the entrenched neoliberal outlook of EU institutions and their probable hostile reactions. There is a considerable body of opinion on the British Left that supports remaining in the Single Market. Unfortunately its view of the Single Market as representing the tradition of the “social market economy” is at least thirty years out of date. The Single Market today is a highly restrictive neoliberal environment that not only induces austerity but also limits the scope for radical industrial policy. Moreover, even in Germany – which has benefitted extraordinarily from the EU rules and the introduction of the euro – the so-called “social market” increasingly means a society with a deeply segmented labour market in which precarious labour and income inequality have soared. The Single Market rests on the Four Freedoms of the EU, that is, the freedom to move goods, services, capital, and labour. These were restated as individual freedoms in the Treaty of Maastricht of 1992, thus opening space for the European Court of Justice to intervene systematically in their defence. The idea that such a framework is compatible with a government which would seriously endeavour to turn back the tide on decades of neoliberalism by rebalancing power in the economy from capital to labour is, frankly, naive. The Brexit campaign was a deeply nasty political event, led by xenophobes and racists. But the vote reflected much deeper cleavages in British society. Brexit was disproportionately supported by workers in parts of Britain ravaged by the neoliberal policies of the last four decades. A Left government does not need to be in the Single Market to propose a more progressive and fair migration policy—and it must do so if it is to remain within the spirit of internationalism. Equally, it cannot afford to sacrifice the kind of transformative industrial policy that Britain needs to address its deep inequalities to comply with the restrictions of the Single Market. Workers in Britain remain broadly in favour of Leave, but need information, arguments and, above all, political leadership from the Left, which used to be their voice. Unfortunately, the state of discourse on the Left shows that many have failed to come to terms with the underlying realities of the referendum decision. It is time to stop clinging to some imagined status quo ante. The Left should see this moment as a historical opportunity to transform Britain’s economy, free from the constraints of the Single Market. Costas Lapavitsas is a Professor of Economics at SOAS and former member of the Greek Parliament.